Grout discoloration can negatively impact the overall appearance of your tiles. While you may have maintained your tiles in great condition, worn grout is unsightly and devalues your kitchen, bathroom, patio, or living room. You may have tried different treatments to improve the condition of your grout, including deep cleaning with the use of household products, but nothing seems to work. Hours of scrubbing are useless against the discoloration. At The Grout Specialist, we have just the solutions you’re searching for! Combined with our Professional Grout Cleaning services, our dedicated team can give your grout the revamp it needs. We begin by thoroughly cleaning your grout with our Professional Grout Cleaning tools and equipment, ensuring that all existing dirt and grime is removed from deep within the grout’s pores. Next, we apply a special sealing that will prevent stains from seeping into the grout’s pores from then on out, making it much easier to clean as the stains will remain on the surface rather than being absorbed. Grout recoloring is also great for homeowners who are not satisfied with a bland, white color to their grout. Matching the color of your grout to compliment the color scheme of a room has become a home decorating trend that can seriously transform the overall appearance of a space. For example, a homeowner with a beige color scheme living room may choose to have their grout recolored to a light creme in order to blend seamlessly with the walls and decor. Regardless of a customer’s needs, our The Grout Specialist experts are always prepared to take on new projects and work with homeowners to achieve the look they are searching for. We believe that a job well done is not complete until our customers are completely satisfied and all of their desires have been met. 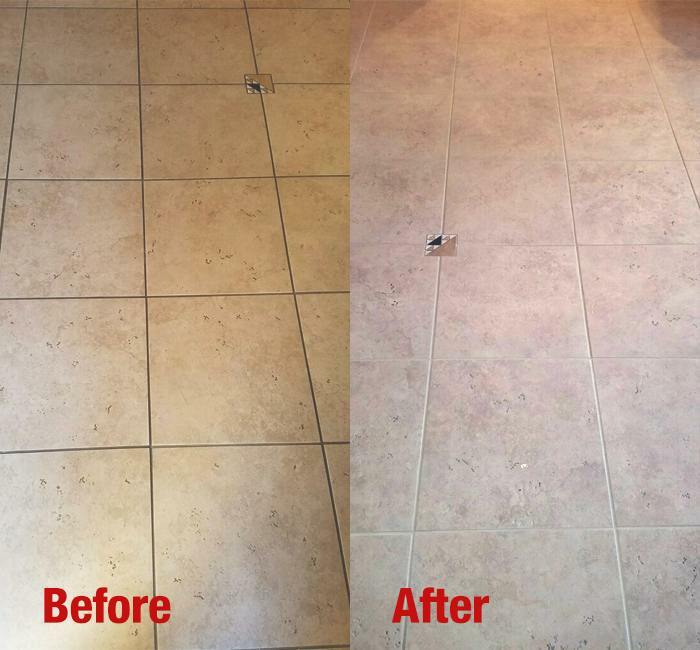 We will go the extra mile to ensure your grout recoloring turns out just the way you planned, if not better. Don’t let your unsightly grout throw off your home’s appearance any longer. Let our Professional Grout Cleaning services take care of the job. Contact The Grout Specialist today at +1 (720) 517-8041. You won’t believe the amazing transformations we can achieve! For more information on our grout care services, click here.